1. This summary has been abbreviated; download report for full version. For the first time since its inception, this report forecasts a decrease in two highly discussed categories in the food sector: meat and seafood. We are seeing meat prices decline while plant-based proteins are on the rise, in addition to seafood price fluctuations due to availability, quality and traceability of certain imported products. Despite the anticipated negative numbers for these two categories, overall food prices are expected to rise up to 3.5% in 2019. This represents a slight increase from last year. 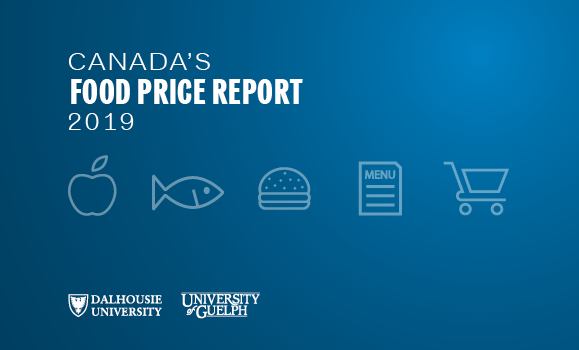 This forecast means that the annual food expenditure for the average Canadian family is expected to increase by $411 in 2019 to around $12,157 for the year. The cost of vegetables will continue to be an important factor. With regard to out-of-home purchases of food, the average family will see an increase of $143, a more modest increase compared to 2018. 2. (⬆) Expected above-average food price increase, (⬇) Expected below-average food price increase, (—) Expected average food increase. Lower confidence intervals at the provincial level. 3. (⬆) Expected above-average food price increase, (⬇) Expected below-average food price increase, (—) Expected average food increase. Lower confidence intervals at the provincial level. In 2019, major food trends and highlights of this increasingly complex industry include cannabis in Canada and its related food products, Canada’s new Food Guide and the ongoing protein wars between existing sources and plant-based alternatives.